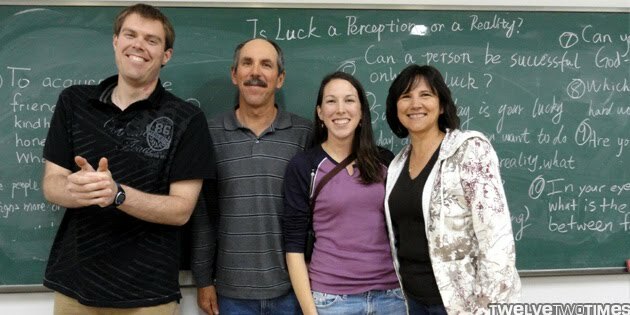 Is luck a perception or a reality? Can a person be successful only on luck? In your eyes, what's the difference between fate and destiny? What an amazing time! Now we know yet again, it's not what we do ourselves, it's truly the Father who plans and orchestrates all, including coffee house. Yea!! looks like the rents are having fun! It took a double take when I first saw them in the picture... I know they're in China too but it officially seems real now that I've seen a picture lol. It would be really weird to see them on Skype haha. So happy they got to come visit ya'll!!! They are here and now they are gone. It went fast. I'll try to get more pictures up soon, and you can check out all their photos when they get home.